A British man who was unable to work due to severe epilepsy has managed to find work after medical cannabis gave him his life back. 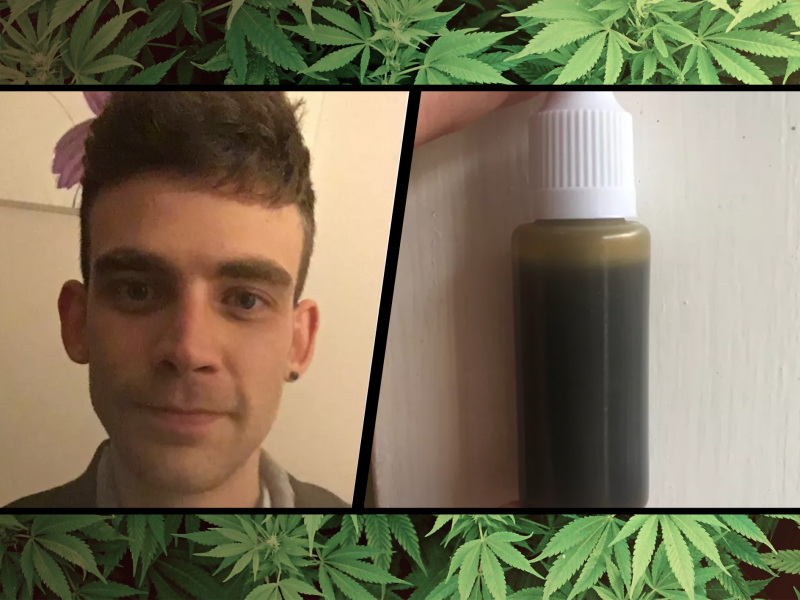 Luke O’Donnell, 25, from Lincoln, has been illegally treating himself with medical cannabis bought from the black market for six months. Before medical cannabis, Luke suffered debilitating seizures, which were so frequent and unpredictable that he became housebound, relying on Universal Credit to get by. The seizures were sometimes so severe that he would miss Jobcentre appointments, landing him with sanctions. However, since he began using a cannabis tincture, Luke had managed to turn his life around, barely suffering any seizures, and the ones he does experience only lasting a fraction of the time they used to. Prior to discovering medical cannabis, Luke’s life was completely at the whim of his epilepsy, leaving him with the feeling that he just could not work. Luke’s epilepsy was so severe that he once suffered a seizure during a job interview, on another occasion, Luke wet himself on a bus following a “big seizure,” killing his self-confidence to go out alone after this. Like many medical cannabis patients, Luke was prescribed a psychoactive pharmaceutical drug, Diazepam. The Government approved drug was not effective as he still suffered debilitating seizures and experience a range of side-effects. “I was given it as a rescue medication but then I was told to take it day-to-day because my epilepsy had gotten that serious. However, with the medical cannabis oil, Luke’s condition has drastically improved, marked by a huge reduction in the size and severity of seizures as well as a distinct lack of negative side-effects. Due to cannabis, Luke no longer lives in fear and believes he has more control over his life, something sought by all patients living with chronic illnesses. “Now my absences are really insignificant. “I did actually have a seizure [at work] on Saturday. It was very small, two minutes, towards the end of my shift. “My boss put me on some admin work and when I went home, I felt fine. Beforehand I would have felt really out of it for about a week. It really messes you up when you have a big seizure. “My life isn’t ruled by my epilepsy anymore. “I don’t feel like someone who has severe epilepsy anymore. “I’ve gone from someone on Universal Credit who is not even able to attend their appointments and has to battle ridiculous sanctions to working full-time and earning a salary in around six months. It’s astonishing. “Twice a day, I take a drop of this foul tasting oil and I can go to work. I can go out. I can go to Manchester to see my brother, go on a night out. I can go down to London to see my university friends. I’ve got so much more freedom. Despite cannabis transforming Luke’s life, he is committing a “crime” by treating himself without a prescription. This is not out of choice. While cannabis was technically legalised for medicinal use in November 2018, a plethora of licensing issues (particularly ignorance of cannabis on behalf of British medical professionals), Luke has been unable to get a ‘legal’ prescription. “My neurologist said you need to be careful of the source. “You need to know what fertilisers they are using because some of them can be very dangerous. It’s not a regulated product, you don’t know how pure it is or if someone has adulterated it. “Yes it can be prescribed but there’s nothing to prescribe. “Ultimately I’d like for there to be some concrete guidelines about the kinds of oils that can be prescribed and where they come from,” he adds. Luke is now calling on the medical profession to create a framework which encourages and guides doctors to prescribe more patients with medical cannabis, ensuring regulated supplies of medicinal cannabis are available. Stories like Luke’s highlight the urgency with which we need to act to get medical cannabis more accessible to patients in the UK. Denying patients legal access via prescriptions in no way means they will not use medical cannabis: it merely means the Government is fine with forcing desperate patients to fund the black market, treating themselves with unknown products. While some, like Luke, are lucky enough to know their source is trustworthy, that is not the case for others. We believe that any patient, regardless of wealth, should have legal access to cannabinoid therapy. Follow us on Social Media to stay up to date with global medical cannabis news.